Homeopathic medicines are world famous for the treatment and permanent instant cure of homeopathic remedies for cold cough and fever. Is treating cough with Homeopathy a big deal?? A big 'YES', If you are not artistic in selecting a remedy. In acute patients it won't give much time to treat, they need instant results or they escalate to other doctors. Treating acutes is always challenging for me, although acutes have a great chance to win the heart of patients. It is always more easy to prescribe a right remedy to patients who come first to homeopaths as soon as they get an attack, but there are many cases where patients first go to allopaths then come to us, till that time simple cough already turns into an obstinate cough. Here I am going to present randomly selected obstinate cough cases cured through homeopathy, which allopathic medicines failed to and turned into an obstinate cough. Please do watch the testimonials of patients. 30 years old lady came to me for obstinate whooping cough, which she has been suffering from the past 2 months. She used allopathic drugs and syrups but no improvement. Suffocating continuous whooping cough, especially in the night which some times leads to vomiting. The patient gets exhausted during cough. There was marked hoarseness in voice and rawness in the throat. Constriction of the chest. The cough was so severe that the patient used to get spasms in the stomach. A 70 years old man (my old patient of arthritis) with severe cough from many days. Patient has a history of bypass surgery. Symptoms are offensive cough with thick sticky stringy yellow expectoration with MARKED WEAKNESS OF HEART. The patient said "because of this weakness in chest getting difficult in cough"
Stannum covered all Rubrics. I prescribed Stannum 30. The patient got relief in the very first day, within 3 days he got complete relief. 55 years lady, initially came for her joint pains, who was improving beautifully with a carcinogen. Between the treatment, she got severe whooping cough. As the patient resides in another state, without consulting me she took some allopathic medicines for her cough. Allopathic medicines made her cough worse, then she contacted me. I asked her to take the next potency of Carcinocin. But her cough didn't improve. Again she consulted me... After repeated multiple questions I got only one relatable symptom LACHRYMATION DURING COUGH. I asked is the cough more prominent in the day?. She said No, it is more at night. I prescribed NAT MUR 200. Not only her cough but remaining 30% pains in joints also vanished. Note: if she would have said cough especially in the morning, my selection would be Euphrasia. Because there was marked dyspnea with the cough. In Kali nit, there is great difficulty in drinking, so this symptom confirmed the symptom. Initially given in 6, partially improved, next enhanced potency to 30. She got well in just one week. An old man came to my clinic with the number of multiple problems. He had all problems from head to toe. In which one of his symptoms was persistent cough from many months. He gave me 100 plus symptoms. One symptom which attracted me was COUGHS + FREQUENT ERUCTATION. with this single symptom and on the basis of his age, I prescribed Ambra Grisea in low potency. He got marvelous results. Sometimes a single strong symptom itself is a totality of patient. Rubric: cough periodical clock; in its regularity like the tick of Niccolum met single remedy in Kent. One more symptom the patient said he sits and holds his head with both hands during cough. This symptom confirmed the Niccolum. Niccolum 200..single dose. The patient got relief in two days. 40 years female came for her cough which was dry and comes only before menses, especially in the early morning and sometimes day time. Cough dry morning menses before agg. 15 years girl came with obstinate cough suffering for months. Took all kinds of allopathic drugs, but no relief. She and her parents confused me with a number of symptoms. I asked them "tell me one strong symptom or at least reason why this cough happened to her, then only I can treat or else hands up... I can't treat her." and I added, "IF I CAN'T TREAT NO ONE CAN TREAT". I know friends, this type of behavior not good with patients, but my friends we need to use every possible way to extract original symptoms... They felt bad with my words remained silent for a few mins and the girl herself told me... IT HAPPENED BECAUSE OF DRINKING IMPURE WATER IN MY VILLAGE. 13 Years girl came with severe cough for months. The main peculiar symptom was cough only in day time, and as soon as she lay down cough ceases. on this keynote, I prescribed MANGANUM 200. Single dose. The patient got relief in one day. Bergenia Ciliata mother tincture is a new remedy testing in India, giving very favorable results for the treatment of intestine and stomach chronic ulcers and renal calculi, beside it there is a wide range of its health benefits. Bergenia ciliata an evergreen ancient herb of Tibet and Nepal region belongs to the family Saxifragaceae species such as Bergenia stracheyi and Bergenia ligulata. In recent studies and research made by western scientists on this amazing plant brings a lot of interesting facts, even some experiments on rats prove it a miraculous herb. Bergenia ciliata mother tincture also added in homeopathic pharmacy in recent years and now it is widely used worldwide for its medicinal uses. What are the medicinal uses Bergenia ciliata? Medicinal importance of Bergenia ciliata is well recognized by various herbalists and scholars. Here is a comprehensive list of this herb for various medicinal uses, though it is already proved an anti-bacterial, anti-inflammatory, anti-scorbutic, anti-viral, anti-cancer, anti-diabetic plant. What are the common names of Bergenia ciliata? Zakham-e-Hayat, Bud Mawa, Kodiya, Pashanbheda, cordifolia, Haw are the local names of Bergenia in India and Pakistan regions. In what health conditions Bergenia ciliata is useful? It is very useful for all types of stomach and intestine ulcers like duodenal and peptic ulcers. It is the best natural treatment for Helicobacter pylori (h. pylori) infections. Haw roots tea is very beneficial for treating kidney infections and kidney stones. In Chronic kidney disease, its alcohol-free fresh extract of the whole plant gives the promising treatment. It has a significant effect on blood platelets, in low platelets, it could be used as a first aid remedy. Locally use to treat dengue fever in remote areas. Its blood cleansing properties detox the body from various toxic effects, hence it is a proven remedy to treat acne and pimples in young girls and guys. Various experiments on rats proved it a great aid for diabetes rheumatoid arthritis cases. This wonder plant is a natural way to cure Lichen Planus permanently. Enlarged spleen comes in a normal size if it is caused by malarial fevers or some digestive issues. Its antioxidant properties stand this herb in the line of first-grade anticancer herbal remedies. In Nepal, mountain people used Bergenia tea to treat ear and throat infections. What are the Habit and Habitat of Bergenia? Usually, its plant is up to 40 to 50 cm tall, it is found in moderate, cold, sub-alpine and alpine earth zones. What are the taxonomic features of Bergenia plant? You can only discover this herb on rocky soil; it refuses to grow on plain soil. Its leaves are bit flabby and hairy, red spots sometimes visible on dark green leave. Seeds are found in brown color, flowers giving a pink and white shade under sunlight. What part of this plant used in medicines? The whole plant is very useful for treating various diseases; the root is used for kidney issues, leaves, flower, and stem for serious gastric disease and cancers. I'm becoming really sick of people thinking that the only way to make change happen in this world as though the government or going to protests. Yes, that can create change. But the government should main concern is profit from big businesses and corporations. The government is too big to create real change. The government can create equal pay for men and women but that doesn't fully solve equality because we ourselves must learn to love and treat one another as equals. A gap will always exist between men and women, whites and blacks, allopathy and homeopathy unless we change who we are and how we treat each other. As a naturopath or homeopath, every day is an open opportunity for you to succeed. Will you sit back and wait for things or will you go out and make them happen? Don't hesitate. Now is your chance to make moves, try out new herbs, made new homeopathic potencies from undiscovered plants and minerals. Take life by the horns and make something big happen. Never stop questioning anything in your professional life, but don't let those questions slow down your progress. Remember your past, but go full speed into your future. Your professional Life is what you make it. Do what makes you happy. There are too many things going on in life to not enjoy yourself and be happy. Life gets tough sometimes but you have to continue to focus on the positive things happening. Bergenia is a wonderful new remedy for homeopathic literature. Your hard work in a field of homeopathy and positive energy will be contagious to others. Do your best every day and smile; Life is good! Do you know homeopathy is saving hundreds of cancer patient all around the world with a promising cure? Everyone is so intent on killing cancer when that is not the correct philosophy. There are many things that can kill cancer cells but no one; I mean NOONE is addressing why did the body allow cancer to manifest in the first place? Going after cancer with cannabis, apricot seeds B17, baking soda etc, might rid the body of it but it still does not cure it because there is an underlying cause that still needs to be addressed. A classical homeopath actually can cure cancer because he fixes the underlying cause at the deepest levels so cancer will not return. It’s actually rather simple to fix depending on what stage the patient is in. Homeopathy has reversed cancer in people that had less than 30 days to live with just one remedy that fixes the immune system. If the body allowed cancer, then you have to fix why the body allowed it so it can reverse it. Don't discount the intelligence of the human body once it has the correct fuel to operate at peak performance. Being acidic is a symptom of the underlying cause. It has to do with the electrical system and polarity of the body that causes it. When we get stressed out it disconnects us from the magnetic of the universe and fries our nervous system which in turn makes the immune system attack itself. Fix the magnetic polarity of the body and it will fix cancer on its own. If you look at the simplicity of it, we are all magnetic beings that are what connects us to everything. If our magnetic is off, we are prone to disease. I've seen people use Reiki and other healing modalities to fix polarity but the treatments only last a couple hours before the polarity goes back to reverse. One has to use high electrically unprocessed herbs to charge the body back up and fix this issue. It has to be done at the level of our DNA spiral. In homeopathy, we do not diagnose a patient with a cancer of colon, lungs, intestine, breast, kidney, liver or blood cancer but we look at the patient as a whole. Once cancer is metastasized into our body it cannot be cured by medical science. That is why in medical world the survival rate is given of five years. They never say that patient will be cancer free in metastatic condition. Only IN SITU (Cancer at one place) cancers can be cured & that is also due to skillful surgery and not due to chemo & radiation. If cancer is spread, never allow surgery Doctors do trails and experiments on our body to learn & earn. They think that this patient is not going to live more then why not take trial? The patient without chemo/radiation and stay on natural therapy live 4 times longer than the patient on chemo/radiation. I have proofs for my statement. These patients live their life in comforts and with minimum pains. But the patients of chemo live their life like an ill person always with a lot of health issues. 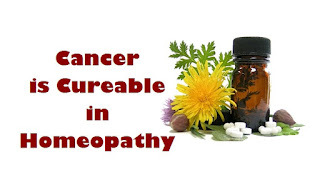 Natural therapy and homeopathic remedies can cure cancer. There are thousands of example of being cancer free with natural diet & supplements. Food is Medicine. We must learn How to use food as medicine. The diet plays a vital role in cancer treatment. Believe it or not, my patients who were given few days to live are doing good even after 5 months, some even after 11 months. So decide what to do. In recent days I have received examples ( I cannot declare their names ) of feeling repentance for giving their beloved ones a chemo treatment. In metastatic condition, Chemo is a memo of death. If anybody agrees with me, they can have best diet plan given below. If patients follow this diet plan he can fight cancer very strongly without chemo. Patients who take chemo will face minimum side effects ( bad effects ) if they follow this plan. Dear patients, in earlier diet plans I used to give timings of diet to be taken. But now I am avoiding it as many get confused with it & another reason is everybody’s timing of daily routine is different. Now I will give diet plan which will be easier to understand. I leave timings of diet to be taken, on you. 1) Morning Drink = (After Brush) To grind 10 leaves each of Basil, Coriander, Mint & Curry with pinch of black pepper, pinch of Cinnamon , juice of ½ lime, 1 spoon of organic honey, ¼ spoon Turmeric Powder 2-3 cloves of Garlic, 1 spoon of Ginger Juice, ¼ teaspoon of turmeric. Add this ground mixture to a glass of drinkable hot water & drink it in empty stomach. Please chew all leaves & eat. 2) Breakfast = Choose as per your choice from Organic eggs one to two, Fruits, Indian Dosa, Indian Idly, whole grains and variety of salad. Fruits will do. 3) Tea = Dandelion Tea/ Green Tea/ Essiac Tea. Always mix 1 inch Ginger & juice of ¼ lime while preparing tea. Tea must be without sugar. Dark Brown color Jaggery will do in place of sugar. 4) Lunch = Bread of millets & Brown Rice, lentils, curd, buttermilk. All type of green leafy vegetables & vegetables like Cabbage, broccoli, cauliflower, green pepper/Red pepper (capsicum), asparagus, Tomato, Sweet Potato, Moringa leaves & Moringa sticks. 5) Afternoon tea = Dandelion Tea/ Green Tea/ Essiac Tea. Always mix 1 inch Ginger & juice of ¼ lime while preparing tea. Tea must be without sugar. Dark Brown color Jaggery will do in place of sugar. 7) Dinner = As per lunch but in lesser Qty. What are the best fruits to eat and to drink juices? All citrus fruits like oranges, sweet lemons, grapefruits. Apples, soursop, sweet sugar apple ( custard apple), pomegranates, pineapples, papayas, mangoes, Grapes, all type berries. What are the best Juices Vegetable? Carrots, beets, radish & spinach with other green leafy all vegetables are best for cancer patients. Unrefined Coconut oil suits to all cancer patients. What are the best Fishes, nonvegan food? All oily fishes, organic chicken, chicken soup, crabs, and eggs are suitable for cancer patients. What are the best seeds for cancer patients? Curcumin capsule, flax seed oil capsule, spirulina capsule, basil drops, Aloe Vera juice, wheatgrass juice, baking soda with lemon/maple syrup/honey, gooseberry juice, soursop juice, moringa powder/juice of leaves. 100% cure is cannabis oil. It is legal in Canada, Austria, Australia, Denmark, and Mexico. Cannabis sativa is legal in India too but it should be genuine. I suggest using only 10 ml for one month as a trail & if we get a good result we must follow that for three months. I got it and my friend is benefited a lot in 12 days. Always use best organic honey. Sugar has glucose which feeds cancer and also harms our body. But fruits have fructose which never feeds cancer & never harm our body, even to a diabetic patient. What are the best daily minimum juices to be taken? Raw carrot juices 4 glasses. Beets & apple can be added to the 4th glass. One glass of sweet lemon/orange must. One glass of pomegranate or pineapple or apple must. Spinach juice thrice in a week to boost hemoglobin as it has 21% iron. What foods must be quiet? Red Meat, Dairy products, bakery products, refined oil, fried and spicy food, sugar & sugary products, processed food and all junk food are so dangerous for cancer patients. A Cure Case of Cancer with Homeopathy! (Sometimes, we do get valuable symptom from the report of messengers). To confirm one out of the above four remedies, they were studied in homeopathic therapeutics under the chapter “Carcinoma.’’ Under Carb-an. we find the words “cachexia full developed”. Carb-an.-10M, a single dose was prescribed. Does your dog have a Canine Vestibular Disease and you’re looking for homeopathic remedies for a permanent cure? Vestibular Disease is the most problematic issue mostly faced by dogs entering into old age. Most of the times canine Vestibular Disease got disappear automatically when dog owners make some essential changes in dog diet. When a dog does not respond well after the first week of disease attack, holistic treatment must be essential in such cases. 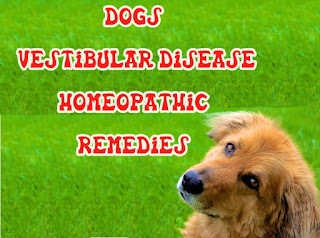 In homeopathy treatment of Vestibular Disease is done according to the signs and symptoms of each dog. There is no specific remedy for this issue but an able homeopath can promise a sure cure for this disorder. Recurrence of Vestibular more than once in six month periods could be a sign of brain tumor but still, you must do not lost the hope because once an exact homeopathic remedy matched with dog overall symptoms, the recovery starts from the first day of the treatment. Here are some important question and answers about Vestibular Disease and homeopathic treatment; you can also ask a question related to this post in the comments section below. Does Homeopathy work on dogs? Homeopathy is a gentle therapeutic method which is characterized by the absence of contraindications. For this reason, it is especially suitable for treating certain disorders that are common in dogs. In dogs, homeopathy can act in different fields: viral infections (colds and flu), joint pains, intestinal disorders, chronic diseases (such as allergies or asthma), and injuries and, even, nervous and emotional disorders. Does Vestibular disease be curable in homeopathy? Yes, it’s 100% curable once your dog symptoms exactly matched with the selected remedy. Does Homeopathy provide a temporary relief or Vestibular disease in dogs? Homeopathy provides a permanent solution for such syndromes. Is there any time of year more prone to Vestibular disease in dogs? Symptoms can appear at any time. The signs of vestibular neuritis usually appear in the summertime, and sometimes it's hard to distinguish them from the sunstroke. In old dogs, vestibular attacks are more frequent in spring and autumn. Does a homeopathic medicine have any side effects on dogs? Homeopathic remedies are very suitable to treat pet diseases including dogs and cats as it does not cause interactions such as drowsiness, nausea, rashes, and any dog who takes other medications can take it too. 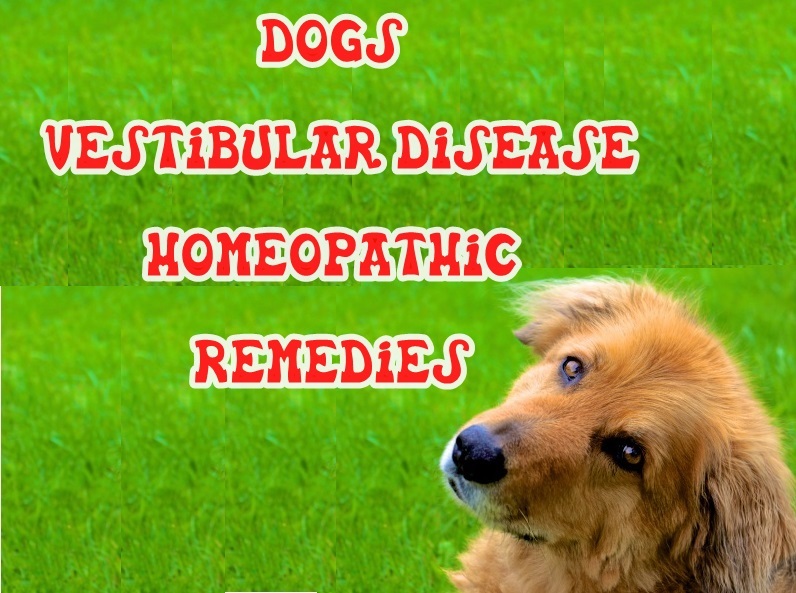 How long it takes to cure Vestibular disease with homeopathy? It depends on the case, in homeopathy the acute cases mostly fully recovered in 1-2 weeks and chronic cases may take up to 1 month or even more. Can we use other drugs along with homeopathic medicines? Yes, you can but better you avoid other medicines during the treatment. This remedy suits especially the Vestibular disease of the aged dogs. Also that form due to cerebral anemia, vertigo on rising up or going downstairs, with great debility and inclination to sleep. Mostly female dogs required this remedy especially when such dogs hate to make a physical contact with male dogs; usually, such dogs refuse to breed. This remedy suits vertigo, especially in old dogs, which comes on as soon as the dog rises from a sitting position. It is associated with heavy limbs is probably caused by senile changes in the brain. When dog easily got a sunstroke or cannot play on a sunny day, like salty foods, the sure remedy in such cases in none other then Natrum Muriaticum. This remedy has a purely nervous vertigo, especially on closing the eyes; it is accompanied with nausea and is greatly intensified by noise or motion. This is suitable to vertigo preceding paralysis. There is a tendency to fall forward or sideways; there are a great anxiety and weakness in the head. It corresponds, therefore, to vertigo and weakness in the head. This is a useful remedy in the Vestibular disease when caused by nervous debility, sexual abuse, occurring in the morning with an empty stomach, with fainting and trembling. Bryonia is the remedy when there is gastric vertigo with nausea and disposition to faint, worse on rising from a recumbent position and in the motion. This remedy has vestibular symptoms worse when a dog looking at running water. This remedy suits anemic vertigo, which is worse when suddenly rising from a sitting or lying position. It comes on when going downhill or on crossing water, even though the water is smooth. Gelsemium Vestibular symptoms are worse from turning the head quickly and in the morning, and better from closing the eyes. These dogs are weak and tired and want to lie down. This is a frequently chosen remedy for all kinds of Vestibular disease in dogs. Dogs tend to be much worse when getting out in the morning. They are also worse when looking at moving objects or riding in a car. I cured many cases of Vestibular disease by knowing the exact pathogenesis through the knowledge of syndrome analysis where I failed to treat same just with legitimate details like generals and personality. Everything in homeopathy is under the information power: provings give us the information, symptoms of what the homeopathic remedies produce; symptoms are the information we need to select a remedy between one and another; repertorization is a process in which we look for the information that matches the most with the symptoms given by the provings with the information the symptoms a subject shows during the consult, interview. The information we get from the way the subject looks like is also important, and in some cases the most valuable information we can get for the right homeopathic remedy to be chosen. Later on, the information about how the person’s health evolution is the most important part of what is necessary to do in the future, if a homeopathic remedy is enough or a different one is necessary, and the potency of that homeopathic medicine, etc. And programs are not more than structured information. Homeopathic is the best alternative treatment for dengue fever, however homeopathic remedies rapidly increased the blood platelets and cured the patients without any side effects. I don't know why ‪‎dengue is getting more popularity amongst the people of the country. There are many diseases which sound well, though, like Pulmonary Tuberculosis, Ischemic heart Disease, Esophageal carcinoma, etc. but they are losing their glory in front of dengue now. It is very sad to see this. Many people ask, how long does it take for homeopathy to work? My answer is always, instant. Dear People, Do not get much panicked with Chikungunya or dengue because at the early stage of Dengue if you observe any symptoms like fever, body ache with much prostration, drowsiness etc, Immediately try Homoeopathic medicine. As Homoeopathic medicine has no side effects, so there is no chance to create any other complications. Though in Severe case you must visit a Homoeopathic Physician or admit the patient to the nearest hospital as early as possible. So, try homeopathic medicines for this purpose to feel comfortable in your home. Homeopathy may save a precious life and your valuable money if treated early. I make a cream with skin affinity remedies. Apis, cantharis and also remedies which match symptom pictures! I also add Culex, and I apply it by adding some to a bottle of skin moisturizer like vegies orb. It works great for the preventative and treatment of too, should they still sting. Which they do! The skin cream also acts as a protector to the skin from toxins, and also from the sun. Using it also helps the skin to nourish and heal rather quickly too. I still use the aero guard, even if I am sitting just in my house. Mosquitoes are filthy nasty disease sepsis carriers. I protect my skin with homeopathy and creams as a defense screen. This is one exception I don't mind making & the way I react to mosquitos is traumatizing so this is when I know it is an aero guard happening. There is nothing natural about mosquito bites. They are evil. A Male patient of 25 Years age had Dengue Fever and was in a critical situation. His parents brought him to me for the medical treatment. The parents were hopeless about the patient's survival and were weeping too. The patient was bitten by some Dengue mosquitoes when he was busy in evening walk in the Park. I consoled the patient and his family to pray for their son. I completely examined the patient and did note down the following Symptoms. * Severe and unbearable pain in muscles, bones and joints. I prayed to my Almighty for the patient's life and I gave the single dose of Crotalus Horridus 200 and waited for the result. I believed that Almighty will surely heal up the patient. So the miracle took place .after a few minutes the patient's temperature was started to reduce and within 30 Minutes his temperature was at normal level 98( Degree Celsius). The patient was then in senses and all sweating, stiffness, nose bleeding and unconsciousness was gone. The patient and his parents were so grateful and excited for the quick and miraculous recovery of the patient. After 4 hours I gave another dose of Crotalus Horridus 200 given to the patient as preventive measures after that the patient was completely cured from Dengue Fever. Crotalus is made from the poison of rattlesnake and it is a specific and head remedy in case of hemorrhagic diathesis, debilitated hemorrhagic, broken-down constitutions, during zymotic disease, stiffness of neck, bones, and muscles of body due to dengue malaria, low septic typhoid or malarial fever, blood flows from eyes, ears, nose and every orifice of the body, right-sided paralysis, exhausted vital force, genuine collapse, unconsciousness, bloody sweat. Purpura hemorrhagic comes on suddenly from all orifices, skin, nails, and gums. It is also useful in carbuncles, Intestinal hemorrhage when occurring in typical Septic or Zymotic disease, Dark blood, and fluid non-coagulable blood. Malignant diseases of Uterus, a great tendency to hemorrhage, Blood dark, fluid offensive also call this remedy. A headache along with Heartache, Tongue Cancer with hemorrhage, Pulse scarcely felt. Tongue fiery red, smooth and polished- intensely swollen. This girl who was a patient from her childhood and her mother a teacher and father who is working in the Gulf! On one Sunday she developed a strong feeling of fever and as her exam is to be commenced on the next day, the mother gave some Paracetamol tabs and at night she has been under very high fever and in the next morning she was brought to the clinic and when I touch the head it was very hot and then I touch the feet it was very cold. And at night during delirium, she was talking this and that and looking upwards etc. She has severe pain in the head and neck and the tonsil and cervical glands were swollen and she has pain in the face and pain in teeth while opening the mouth. So gave her Belladonna 1M immediately and Placebos to be taken frequently and gave some No powder (Bell 1m) to be taken in case of any emergency and asked them to call me before 10 PM. On the call, it was reported that though she was feeling better, the temperature continuing and asked them to give the NO powder in case of any emergency and asked them to bring her to the clinic in the next morning if she is not feeling better. Told them to wait for 48 hours, by then the fever will subside if there is an improvement. In the next morning, they told me that the same thing happened on the last night also. So she was asked for a blood test and it was noted that the platelets count is coming down and then repeat the same for the day and they came to the clinic in the next morning and told me that she had a sleepless night and she had some dreams and when asked about the dreams she told that it is about the death. Being a teacher most of her friends and relatives want to take the child to allopathic treatment since I made the diagnosis earlier as a case of Dengue fever as the immunology tests were positive. But the girl who is a firm believer of me took a firm stand that Homoeopathy is her medicine. So I took the Arsenicum Album 1M Potency in sac lac of the similimum on the spot and another to take it in half glass of water to be taken every 10 - 15: minutes and placebo pills every one hour and asked them to report to me in the evening and at 9 PM the mother informed that she slept well and had little bit of Rice in the noon and evening. Asked to repeat the same in the night if there is any problem otherwise continues with the Placebos and the next day the mother wants the blood test to be done and it was found that the platelets count started improving, but the immunology tests were positive. In fact, I was not sure whether they will stick with our system as the husband is away and all the teachers of the school have no faith in our system and to their surprise homeopathy worked for her. Now you can comment on the same. Homeopathic Remedies for Dengue Fever! Aconite: If dengue fever starts with cold, do not forget this life saving medicine. Crotalus Horridus 200: Only one dose is a good preventive dose in epidemic dengue fevers. Eupatorium perfoliatum 200: Daily one or two for three days when there is pain in bones. It is also very good remedy for dengue fever as well as preventive measures. Gelsemium 200: When there is no thirst at all and patient is unable to move his body parts. Psorinum 200: One dose will give immunity against dengue fever. Phosphorus 30: If there is bright red bleeding, also tongue got hemorrhages in this remedy. 10 Proven Homemade Remedies for dengue fever! The following home remedies are not fully scientifically proven cured remedies for Chikungunya or dengue fever but there is no doubt that these commonly found herbs and fruits are so good for dengue patients. These can also be use as supportive and dengue prevention home remedies. 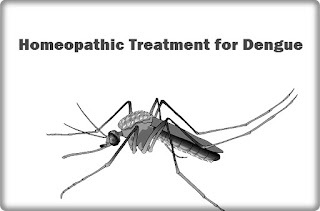 Why Homeopathy Is the Best Option for Dengue Treatments? Endnote: Only symptoms that differentiate dengue from other viral and bacterial fevers are pain behind eyes. Thrombocytopenia also present in malaria and typhoid so on the base of decreased blood platelets we can’t differentiate dengue fever from others. Disprin and other non steroidal anti inflammatory drugs are strongly contraindicated in dengue fever , if someone have any questions about dengue hemorrhagic fever then feel free to ask I will reply all queries because I have much clinical experience with this one due to previous out breaks in our country. 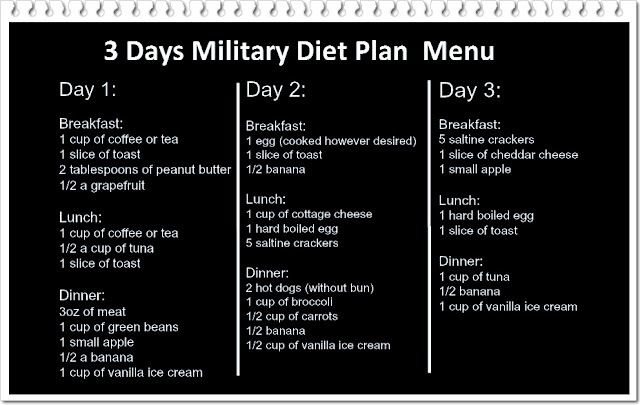 A lot of people are conscious about how 3 days military diet plan works and does it really works or not. People are always talking about losing weight, meaning when we try dieting or exercising we weigh ourselves. I personally don't believe this is the most accurate way to measure our success! If you lost a pound of entirely fat, that is a huge success! But it's possible you are also losing muscle as well. A pound of muscle occupies less space on the body than a pound of fat. So the answer of most wanted question does the 3-day military diet work long term is yes. There is water weight to lose, which would change from day to day. You could be lighter or heavier based on if you weigh yourself before or after a bowel movement, or menstrual cycle can influence weight by up to ten pounds. What I’m saying is there are so many variables with the weight that I think it can be easy to get discouraged. I would highly recommend taking before and after photos, and doing measurements of your neck, upper arm, bust, waist, hips, and thighs to compare your size lost. I talked to a certified nutrition educator about the Military Diet Plan and this was her input: Such low calories intake is not something to worry about. 800 calories a day is fine since it’s just for ONE day. It seems like a lot of the foods decrease bloating. It's important to stay hydrated because you could lose mostly water weight. She recommended doing the measurements to really see the difference. I feel amazing and people have already told me I look smaller after just three days! But what if that was a lot of bloating and I actually only lost 2 pounds? That would be very discouraging, and probably wouldn't make me want to do the diet again. I would share this info to convince more of you to do photos measurements rather than weight. I hated taking that first-day photo, but I am already proud to look at it and say that's not what I look like anymore. Common misconceptions about military diet plan! Doest military diet plan really works? Answer: Regardless of anyone's individual weight loss or gains it solely depends on you and YOUR personal goals. You can say the same for any "diet". The ultimate goal is to learn what works for you and how you can keep it off for yourself. This is a great way for motivation so let’s all keep positive before we all end up eating fat burgers. Question: I don't see anyone losing and maintaining their weight loss on this diet and I have not seen anyone to actually reach their goal weight, it looks like most people are losing then gaining then losing on another round and then gaining again. My question is, is anyone experiencing large weight loss totals after several rounds? Is anyone getting anywhere with this diet after the 1st round? Answer: I am losing on the rounds and keeping off on my days off. That being said I do have to watch very closely what I eat on my days off if I go over my calories I will gain back!! You have to exercise. I am a runner. I notice if I skip a day running or not doing my exercises on the days I don't run my weight loss does not move. Question: What you want but watching calories than I've seen from people following this diet? Answer: I put the app called Fat Secret on my phone to count my calories. I weigh my food to make sure the amount is right. I buy Breyers no sugar added ice cream and eat it every night. Question: What are the rounds in military diet plan? Answer: My first 4 rounds I lost 22 lbs. I took a couple weeks off and only gained 2 lbs back. I just completed R5 and lost another 8 lbs. I stay positive every day, and I keep my focus on my goals. I have started a workout program with R5 so I am now hoping to see inches just melt away. People have started noticing that I am losing weight, which really makes me feel really good about all my hard work. I do make sure I have at least 1 "cheat day" every week. But, I don't go overboard with it. I drink 108-130 ounces of water every day and keep my calories from 1300-1400. Sometimes that is a good idea. I used to weigh every other day. Now I just weigh on D1 and D4. I did notice in the beginning though that when I didn't drink enough water, my weight loss seemed to be less. So, now I am very diligent about drinking my water. I am not always good about entering in into my apps during the day but I save each lid off of the bottles I drink until it's bedtime, that way I can be sure I drank enough during the day. Question: I'm on day 3 and already ate my breakfast lunch and dinner I was starving. Is it OK? Answer: Are you going to try again? It’s better to know where you stand. Sometimes you just need to look at the scale and take it as a wake-up call. I think I gained weight too I ended up eating a lot more today we'll see in the morning. There's always next round. Question: I can't do broccoli. I've tried. I can’t do asparagus or whatever the other thing is on the sub list. I can do green beans. Can we sub the broccoli for green beans and has anyone done this and been equally successful? Answer: You can substitute a cup of cauliflower, or a cup of beets, or a cup of Brussels sprouts for the broccoli. Question: I want to know how you keep the weight off without having to stay on the diet. I know people that have done the diet and they gained the weight back? Answer: You have to burn more than you eat. You can't stop and start eating whatever you want; you'll obviously gain weight that way... So count calories and exercise. Question: Does military diet plan is safe for a breastfeeding mother? Answer: I just did the three days while breastfeeding! I figured since it is short-term it would be fine. Just remember that water also turns into the milk so drink a lot. Question: Does it matter if your ice cream is regular or sugar-free? Answer: According to militarydiet.com you should avoid all fake sugars except Stevia. Question: I started my military diet today, and I already finished my full day 1 meal I feel still hungry, is it good? Answer: You’re going to feel like you’re literally starving just being realistic. Drink a cup of water and occupy yourself until bedtime. That's the best advice. Question: I'm 5ft 1' and I'm 136 lbs. Goal weight 120 as well. Does anyone know if they lost more weight after taking a break from the diet and starting again? I want to lose the full 10 when I do. Has anyone lost the full 10 the first time back? Answer: I lost weight at first. Then I stopped losing weight. Went off it for a few months and tried again and lost nothing. I don't believe this diet is for people who only need to lose a few pounds. Reducing your calorie intake below 1000 makes your body goes into starvation mode and it holds onto everything instead. This diet if for a person who have a lot of weight to lose, that’s why it is very similar to the cardiac diet doctors put some heart patients on before surgery. Question: it’s my Day 1 and trying to come up with dinner idea for the family and me to both eat. I have shrimp but not sure how many is 3oz and I don't know what to do with it. Do you have any other creative ideas with spices or hot sauce, etc? You'd use? Answer: Sriracha sauce is my savior. A drop is all I need to make something taste edible or you need 300 calories of shrimp. Question: Why vanilla ice cream is necessary for military diet? Isn't it high calorie and fattening? Answer: I think we would all freak out without a little treat. You need fat and dairy in the diet as it's nutritionally not that great. I'm assuming it's for sanity, though. Question: It was my day 3 today and I did took two toast and two hard boiled eggs for lunch as I was too damn hungry because I'm a nursing mom, would it affect my diet? Answer: I'm not sure that doing this diet is a good idea if you are nursing. The calories are way too low for producing proper milk supplies. I would say it probably shouldn't have too much effect then. You did the workout to offset it so I'm sure you'll be fine. Question: Does anyone know the science behind the diet? What chemicals are doing what? And fat loss vs. water loss? Answer: it’s the metabolism, the diet boost your metabolism as in makes it moves faster. Question: Hi all, I've done this diet for the last 2 weeks and have found it very good. I have battled weight all my life and I was doing the 5:2 diets some months back. I didn't lose 20-30lbs like many of you. I exercise 2-3x a week and have a 2-year-old to run after. So I would class myself as light to moderately active. So far after weighing myself on the fourth day I've found I've lost no more than 4lbs, I am not looking to do this as a quick weight loss scheme only to put it all back. I am hoping to practice this as a lifestyle. My question is, what do all you eat on the days you aren't on the diet? Answer: we just completed R8 and down 20 lbs; my husband is down 30! Using the guidelines (1500 calories and no starch after lunch) we eat whatever we want which is why after going out to celebrate my birthday we ate what we wanted and even disregarded the no starch and 1500 calories limit. Tuesday we will start R9 and we will both reach our goals. This Diet has taught us healthier responsible eating. Question: I was thinking that the order of the food didn't matter as long as you consumed it all in the day. But now after reading more it sounds like the way the foods are grouped together DOES make a difference. For instance, the grapefruit and the coffee work together. And there was something about tuna with something else I think too. I have lost 19 lbs with 3 rounds but am wondering if I would have better results if I were stricter and went with the exact order. Also, I did have a few substitutes as well (mainly tuna and cottage cheese) so I am debating no substitutes as well this next round, Although the thought of that makes me cringe. I have a few more days off before my next round which I will start Wednesday but I just wanted to get some input from anyone with more experience or if you have done it both ways. Answer: I think 19 lbs in 3 rounds is fabulous. I would stick with what you have been doing if I were you. Great job! I've finally lost 8 lbs in 2 rounds. I substitute for the tuna, but other than that I eat everything as it is listed and in that order/grouping. I thought I read somewhere on the diet website that it doesn't matter, though. Like, you can save items and eat them with a different meal and whatnot. I have seen that people save bananas or peanut butter and have it mixed into their ice cream. Question: My mom wants to lose 30-35 lbs in 2 months; she's 5'3 and weighs 150-155 lbs currently. She said she wanted to do the Military Diet combined with 30 minutes on the treadmill and 30 minutes of abs exercises. She wanted me to ask if any of you had similar starting stats to her and lost 30-35 lbs in 2 months. I think she said since she's only 20 lbs overweight it might be harder to lose 30-35 lbs in 2 months? Question: Can you substitute the grapefruit for an orange? I have done some research and I have seen some say you can and some say you can't. Answer: It's got something to do with adjusting your PH balance. Something grapefruit and baking soda have and orange can't do. There's a list of substitutions in. grapefruit kickstarts the liver into fat burning mode alongside the coffee which helps to raise your metabolism these two things help your weight loss goals hit the ground running. So as much as it's not to everyone’s taste it’s helping in a big way. I've just made sure my grapefruit is very cold and after a while, it’s not so bad. You are not supposed to substitute oranges. You can, however, drink a glass of water with 1/2 of a teaspoon of baking soda mixed in. Question: I am back on day one but I add a little milk in my coffee does it make a difference? Answer: A little is relative. If you are having a hard time weaning off dairy, try original unsweetened almond milk; it has 30 calories per cup. Or, better yet stay on the diet and try some of the vanilla ice cream from your evening meal in your morning coffee. A comprehensive 3-day military diet review! Throw away the scale for sure. It is how you feel and how clothes fit. Everybody is different for sure. Large bone structures, medium and small all hold it differently. I started drinking fresh juices and I'm losing weight but I feel so much energy and that says to me, I'm going to get healthy. Health is the goal. We are what we consume, really. Not many of us really pay attention what we eat and consume. First thing for more quality life is a healthy diet, most people of us, do not pay attention a lot, we take what we get, we eat what is tasty we drink what gets us high and such but eventually it has consequences and the older you get the harder it gets the more illnesses will reveal out. Think of your body as a temple of wellness. I have found there will always be a person or people that tend to put your dreams down. But moving past their negativity is what has made me even more motivated to help more people in my own personal journey. By hearing their hateful comments it has pushed me to find answers to their questions or uncertainties which only make me more informed. So to all the haters thank you for pushing me further. The one thing that has always motivated me is most is telling me "You can't!" I only want to push harder to show that I can. Clean nutrition has been linked to losing weight, maintaining a healthy weight, and helping with the overall mood. I know this because I have been overweight and I was constantly beating myself up about it. I felt like I ate healthily but when I looked at my overall daily intake I just wasn't getting enough of the suggested veggies and fruits in a day and too many high sugar high carb foods. The healthy stuff just wasn't what I was craving...I wanted to the sugar and carbs. It wasn't until I decided to make a change in my diet and fitness. And over the next 60 days, I saw my body, mind, and overall outlook change and I became happy with my results. I added military diet plan every day to ensure I was getting the nutrients that my body craved and needed. I added 30 minutes of exercise every day and learned that I didn't have to be at the gym every day for 2 hours to get amazing results. 30 minutes per day was all I needed. What mattered was my nutrition, and that, of course, is the hard part! But with the help of my nutrition guide that came with my fitness program, support of my challenge group, and military diet I lost 12 lbs in 60 days and I felt on top of the world. I now feel amazing in my skin and appreciate what my body needs daily. Doest 3 Days Military diet plan is compatible with Homeopathic treatment? Well, it depends on the immunity and overall condition of a person, as you know there isn’t any specific remedy for any disorder including obesity, so if someone is on a military diet plan and using homeopathic remedies a supportive aid, it could give much better results. On the other hand, if someone is suffering in a kidney or cardiac issues, it is advised to stay away from any diet plan unless your homeopath physician recommends a suitable weight loss diet plan for you.